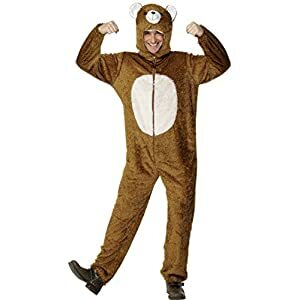 Brown bear costume: One of the largest living terrestrial bears. 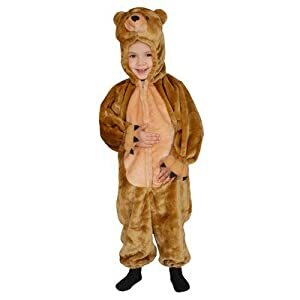 The North American brown bear is usually called the grizzly bear. 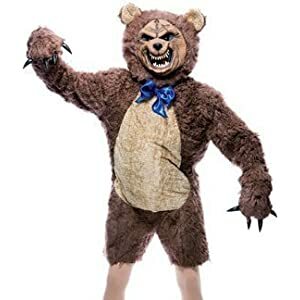 Grizzly bear costume: This is the North American version of the brown bear. 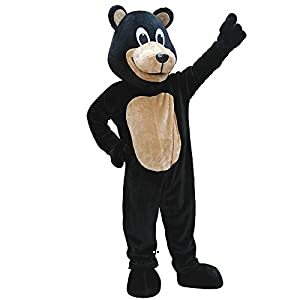 Black bear costume: Get dressed up as the medium sized bear native to North America. They are the continent's smallest and most widely spread bear. They are omnivores. 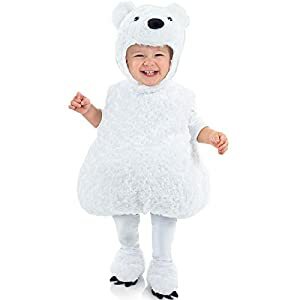 Polar bear costume: Become the large, white bear that lives primarily within the Arctic Circle encompassing the Arctic Ocean. 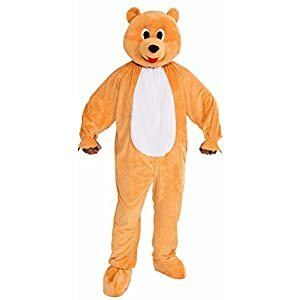 There are also fictional characters that may be appropriate for Halloween such as a Yogi Bear costume. 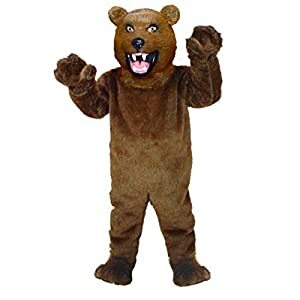 Includes the stuffed suit, claws, and mask. One Size Fits Most. 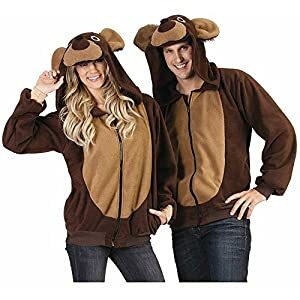 Look for the matching Sewer Rat Costume. 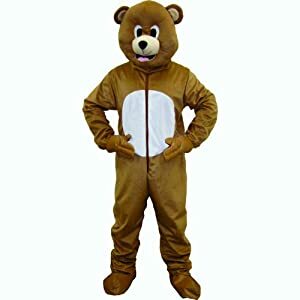 Honey bear plush mascot costume includes jumpsuit and headpiece. Standard size fits up to a 42-inch chest. To care for, hand wash gently and line dry. Lightweight Suit. Customizable on our website. Head material: EPE & EVA(not paperboard). Production Lead Time is approx. 3-7 days. 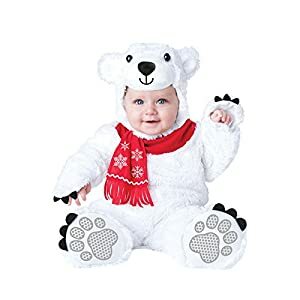 Sleeveless bubble body with attached hood, and paws hands and booties. Booties have non-skid fabric bottoms. 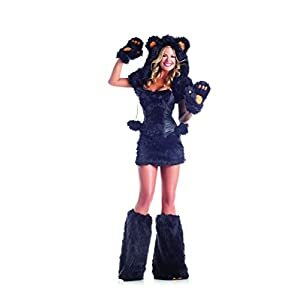 Read before buying: see rubie’s size chart, recent reviews, and q and a before making selection; costumes are sized different from clothes and vary by design/style. Bolero hoodie, corset top with lace-up back, skirt, mittens, leg warmers, tail. ALL SALES ARE FINAL except for damaged/incorrect goods. If you receive a damaged/defective item or the wrong item, you MUST contact us within 5 business days after receipt of goods or we cannot honor a return/exchange. Shipped and sold from Los Angeles, CA. Cozy fleece dress keeps you warm on cold winter nights. 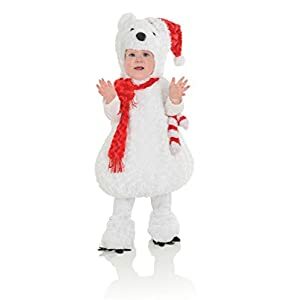 Adorable bear hood and classic winter scarf make this the perfect holiday dress. 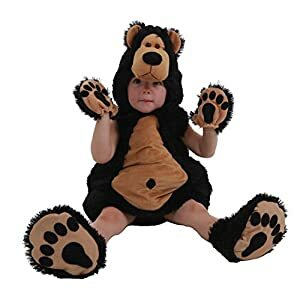 Bear hood. Gloves and leg warmers. One-piece jumpsuit with attached character hood. Low pile ivory fur, lined hood, zipper front. Attached fish can be held or kept in the functional front pocket. This is an officially licensed product. Includes headpiece and jumpsuit. Product comes complete with, jumpsuit and head mask. Jumpsuit features a zipper closure in the front. Mask features mesh eyes and an opening at the mouth for ventilation. 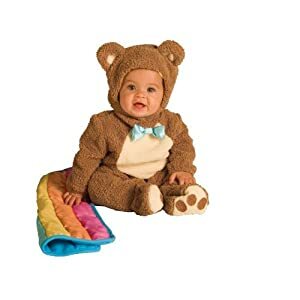 Product comes complete with, luxurious plush jumpsuit or cape with an adorable attached head. Soft and cuddly teddy bear. Set packaged in durable snap-sealed poly bag. 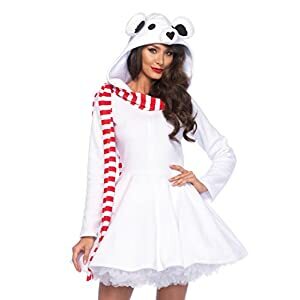 Includes jumpsuit with hood. Zip up the front. Exclusive Smiffys branded product. Includes Zip-Up Hooded Animal Sweatshirt. Wash Gentle Cycle Cool, Lie Flat to Dry. Chenille and flannel jumpsuit keeps your little one warm. Headpiece with ears fastens under chin. Includes rainbow blankee. 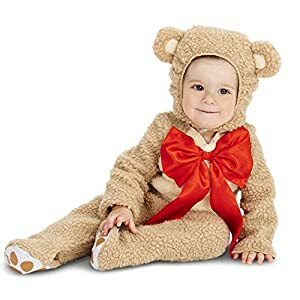 Jumpsuit with leg snaps for easy diaper change. Slip-on booties with skid resistant bottoms. 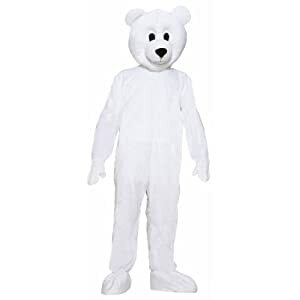 Forum Novelties Men’s Norm The Nordic Bear Plush Mascot Costume for sale for Halloween. 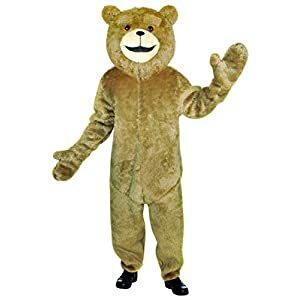 Costume includes norm the Nordic bear headpiece that tucks into suit for full neck coverage and plush jumpsuit with backside zipper closure. Mesh eye openings allow you to see out, while others cannot see in; elastic bands hold mittens and boot covers in place. Attached mittens are plush on one side and open on the other, so you still have the use of your hands. Soft swirl design body with velcro closures. Easy to pull up for effortless diaper changing. 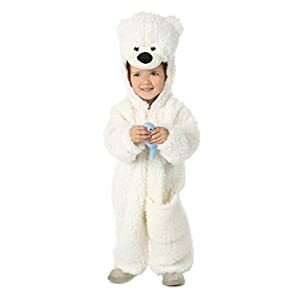 Complete your arctic cutie look with the included detailed plush hood and shoe covers. Made from a lightweight baby blanket material with cooling fiberfill to keep your Belly-Baby happy and comfortable.